This e Christmas cards for business design showcases two breath taking snowflakes of diamonds that sparkle, shine and glisten dramatically. 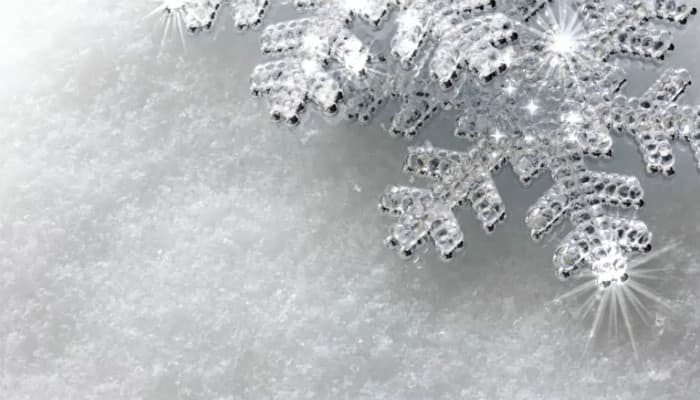 The snowflake shapes are very defined and edgy, and almost looks like rare jewels that have been found. Delicately placed on a bed of soft white fluffy snow, this design oozes charm and sophistication. With the snow falling gently as you play the ecards to finish off the full effect, this design is sure to wow your customers this year! By teaming this design with the ice flake background, the effect would be amazing. However we have many different background designs to choose from. Please feel free to browse our website and see the various options we offer. By sending an Ecard Shack ecard this year, it will provide you with a great opportunity to send your clients a warm festive message for all their support this year. Register today and see the benefits of sending one of our Corporate Christmas ecards.